After delivering a GDC panel on his cinematic inspiration, we met with Metroid: Other M producer Yoshio Sakamoto to ask him about everything from collaborating with Team Ninja, lessons learned from Metroid Prime, the newfound focus on story in the Metroid universe, and whether or not he played Chair's Super Metroid love letter, Shadow Complex. Read on! Can you tell us about the process of working with Team Ninja. Who does what design-wise and technology-wise? Yoshio Sakamoto: The original design concept came from me, but then we went and assembled a team that could pull this off. And in this case it was people from Team Ninja, who we really thought was the best fit. But they've also provided a lot of core ideas that have influenced the direction of the game, particularly the director, Mr. Hayashi. So, as I mentioned in the speech today, it's not so much that we're dividing up tasks but collaborating as equals. After E3 and the initial announcement a lot of people were making comments like, "Oh, it seems like they've dumped Retro for this series and they want to go with another developer," as if it was a big switch-off. But, in actuality, that is far from the case; rather, we just wanted to put together the best team that we could to make this project, which turns out to be Project M.
Retro obviously produced the Metroid Prime series; very successful, very influential. 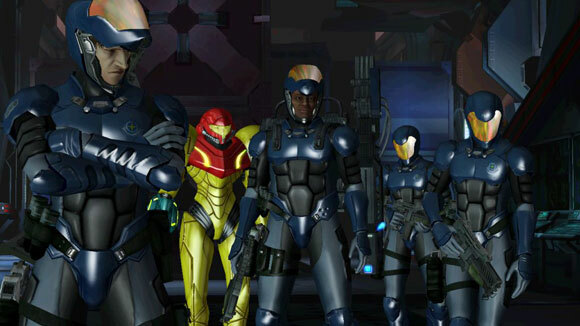 Do you consider this a reboot of the series after Metroid Prime? Is this the direction for future Metroids or just another direction? The games that I've been involved with in the Metroid series have been on the NES, GameBoy, Super NES and the GBA. I actually didn't have a lot of input on the Prime series. But when they're doing with Other M here, it's not so much a different universe, it's just a different part of the story. You can't say that there's no relation here; it's probably best to think of them as being in parallel in this world. What, if anything, has the team learned from Prime? I've been working on 2D Metroid games all the way up until now, so when we had a chance to see the Prime games, which suddenly take the series to the 3D space, we realized people found it to have a really good visual impact, and they really did want that kind of enhanced visual experience. And so, I have to say I'm certainly influenced by people's desires in that direction. There are some points in Other M that are going to feel a bit like the Prime series in terms of the visual experience they offer. But what we're really trying to do is bring the ease of play you found in the 2D series forward. But certainly Prime was a very cool series and we've taken some notes there. Other M is "a really good intro" to the Metroid universe. is Other M intended to revitalize the Metroid franchise in Japan? I have to say we're definitely thinking globally. We want to drive the elements that people have really attached fondness to in the Metroid series. And so we're actively working to find out what people want, but we're not just thinking about the ideas of gamers in Japan. We're definitley thinking about everyone. Will there be any online component to Other M? And, if not, why isn't online a priority? There's no online functionality in this title, and the reason for that is that Other M does not rely on that as one of the core design ideas. They're thinking more about the single-player style that you've seen in all Metroid games up until this point. And one of the specific goals here is to convey the charm of Samus as a character and to bring forth several perspectives on what kind of personality she has and how she reacts to situations. So online wouldn't really factor into that kind of character development as a core idea. If they were going to design a Metroid game with an online functionality it really would've had to have come in at the ground floor, when they come up with the design of the game. The understanding of the Metroid world is not something you can really take for granted among every single gamer out there. There are some people who are new to this series and some people who've been with it for a long time. So one of the first tasks is to bring everyone up to the same level of understanding in the Metroid universe. And this game focuses as a really good intro, as well as a really good new challenge to that world. Once you raise the level of awareness of what the Metroid universe is like, then you can start to think about bringing completely new gameplay ideas that haven't been present before. This is the first Metroid game that really has a robust story, outside of scanning in Metroid Prime. Why such an emphasis on storyline in this game, especially with the collaboration of Team Ninja, which is better known for action than story? The main reason for the story emphasis, as I noted earlier, is that one of our big goals here is to educate the audience about the Metroid universe -- and Samus in particular. So you need to get into quite a bit of detailed storyline to be able to do that. And of course, this game does have a deep, long storyline. But we wanted to put a lot of effort into the action sequences as well. One of the reasons for having this game be mostly two-dimensional is because people are more comfortable with 2D play overall across the entire audience; you don't have the same distractions when you want to give them story sequences, as well. So, you can give those story elements a lot more impact, and that's really where the design emphasis came from. And then a lot of the core Metroid series team at Nintendo, they've been working most recently on the GBA Metroid series. These are all handheld. So it's a very different kind of feel when you're developing for a console. And they wanted to make sure they brought in some people who had more recent experience on console action games. Having that 2D environment that's comfortable to play means they had a lot easier time connecting up the storyline and driving home those storyline points for impact. Team Ninja were a very good fit here because they're so well-versed in action and had some more recent console experience than the core Metroid team at Nintendo. I definitely had a really good experience with Team Ninja. They absolutely know how to make an action game that's easy to play. Every step along the way they would question the most basic design concepts, thinking about whether an idea would stand or whether they should challenge themselves to go in a new direction. And having that sort of active presence in the design and construction of a game going forward; finding them challenging themselves constantly felt really good to be a part of. So this entire collaboration has been a very positive experience. Speaking of the core Metroid development team that last worked on the GBA games: There have been rumors of a game known as 'Metroid Dread' -- purportedly a 2D Metroid game for DS. Was 'Dread' a real project? It seems we get a lot of questions about Metroid Dread, especially at interviews following E3 for example. But nothing's ever been announced about this game; it's all just been rumors so far, so we never know exactly how to respond to questions like this. Then where does 2D Metroid development stand on DS? While there actually was a point where some teams were meeting to discuss if it was possible to create a 2D Metroid for DS using a relatively small team size, it's not something that we ever really announced or thought of as "Metroid Dread." But whenever people bring out that idea, we recognize that the basic concept is something that we can't say never existed. But at the same time, we can't of course make any official comment about a Metroid Dread–like project coming out. Our main goal here is to, as I said earlier, first raise knowledge about the Metroid universe, and the Samus character, before we start to introduce different elements like online, or even going back to another handheld game for the next in the series. So there's nothing coming immediately. We want to think about these new challenges first. Last year there was a "Metroidvania" game called Shadow Complex for Xbox Live Arcade that was very popular. Many people saw it as a surrogate for a new 2D Metroid game. Have you had a chance to play it, and, if so, what do you think about it? I haven't had a chance to play it, but I have seen movies of it and think they certainly do share a lot of similar features. There certainly were some Metroid staff members that early on told me that there was a similar game out there, but once I started to look at it ,I realized there were similarities, but this is not really something we created. It's not quite an equal in our eyes. But the idea of having 3D visuals with a 2D play-style is certainly very attractive. 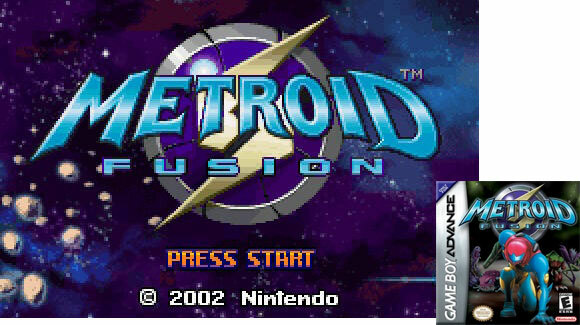 And if people really want some more 2D Metroid, then I would love to suggest that they play Other M.